Working on a smaller scale than I usually do. 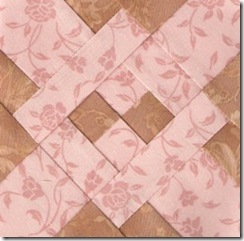 Each block is only 4.5 inches square! There have been times when I’ve actually screamed when a block won’t cooperate with me. I’ve ripped a few apart and started over, and one of the corners I have given up on for awhile, as after two tries, it still comes out way too big. I’ll get back to it after a little more practice. I keep looking at it, talking to it, and trying to determine just what it needs to be happy. Quilting is a lot like relationships. Sometimes things work just fine. They take little effort, and they just seem to come together. Other times, they take a lot of patience; more patience than you think you have. They sometimes require you to look at the situation differently, come up with several possibilities and determine the best solution for the problem. Sometimes in your relationship/quilting you just need to sit quietly and meditate. Other times, you need to get physical and use some energy. (Seriously, have you ever wrestled a quilt? I have!) I’m finding my Dear Sammy Jane quilt to fit all of the above. The WiFi on my laptop is still not working. I’ve spent way too much time trying to fix it. HP said they’d take care of it for me, free of charge, but I need to ship the computer to them. It means that they will replace the WiFi unit, REFORMAT the computer back to factory condition, and send it back to me. I don’t know about you, but I’m never happy when someone reformats my computer. All the goodies I have put on it go bye-bye. All the settings I’ve labored over go kaput. It means reinstalling software like my Dear Jane program, among others. Nope, I don’t like it one bit. So, being the smart person I thought I was, I said to myself, “Why couldn’t I just go buy an external WiFi card myself and be in business without all that reformatting stuff?” So I bought one. Spent two hours trying to get it to work. Nope. It didn’t. So I boxed up the laptop in the box that HP sent me, and it is now in the hands of FedEX. I am hoping that Best Buy will refund my purchase when I take the external WiFi back. I am worrying about my laptop being out of my possession. Please pray for me and my baby! And stay tuned… I’ll be sure to keep you posted. 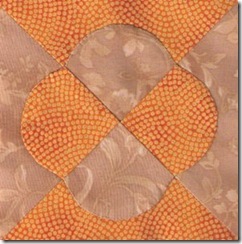 I think I need to go do some hand quilting. It is the only thing that really relaxes me. A glass of wine might help, too. Hope your computing day is going better than mine! We’ve sure become dependent on our computers when it comes to quilting and staying in touch with our quilting friends, haven’t we! 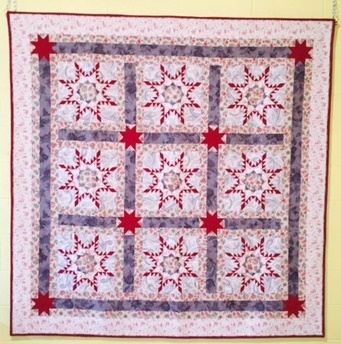 Our foremothers would be astounded to see how quilters exchange ideas and communicate these days. And when our computer goes to the hospital it’s almost as bad as when our machine goes – we feel like we have lost one of our children! Two blocks a week sounds great to me! I wish I could say as much for my output! Yes, computers are a headache. When I had my son around I felt much more secure about computer usage. Now if I mess something up I have to call friends and apologize back and forth. 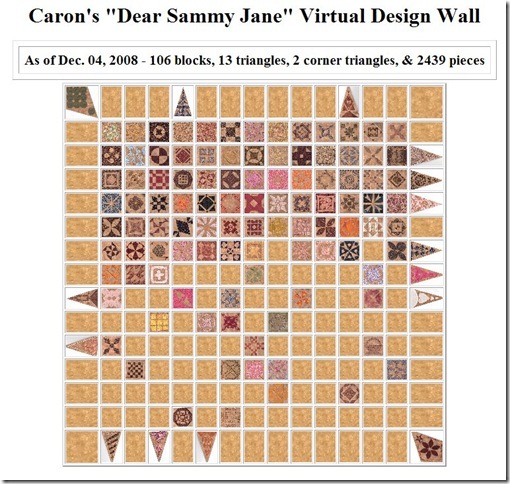 I really like your Dear Sammy Jane quilt the colors are lovely. I also enjoyed your analogy about quilting relationships. It is so true. I hope to see more updates on your Jane.